Small and stylish the FIBARO sensor comes in a range of colours to suit your décor. The sensor monitors the opening and closing of doors, windows and garage doors so can be used in automatic light control, access control and used as part of a z-wave alarm system. 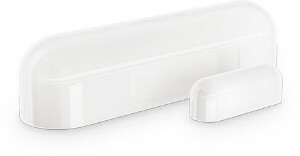 In addition the Apple HomeKit FIBARO Door/Window Sensor is equipped with a built-in temperature sensor.